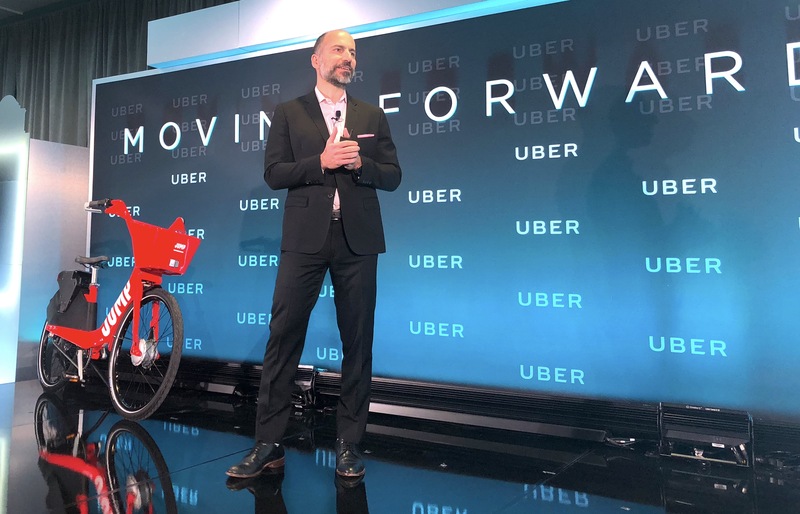 At a future of mobility event in Washington, D.C. today, Khosrowshahi announced Uber’s foray into car rentals, shared bikes in D.C. and public transportation. Khosrowshahi also sat on a panel with Washington, D.C. Mayor Muriel Bowser and Stephen Goldsmith, Daniel Paul Professor of the Practice of Government at the Harvard Kennedy School, to discuss Uber’s new approach to partnering with cities. A lot of the conversation focused on making transportation safe, equitable and affordable across multiple modes. Those modes include ride-hailing, car rentals, public transportation and more. In order to achieve the goal of safe, equitable and affordable transportation, Uber is forming deeper partnerships with cities, like Washington, D.C.
One of Uber’s goals is to reduce the need for individual car ownership, thereby reducing congestion in cities. For those who don’t want to take public transit, Uber says it’s investing “hundreds of millions of dollars per year” in its Express carpooling product. That investment comes in the form of price cuts to the end user. “There are these societal norms that we have to battle,” Khosrowshahi said. “You share a car with someone, and it kind of feels a little weird,” noting how people don’t know if it’s socially acceptable to work, chat or say nothing at all. Uber has, of course, been under scrutiny as of late due to the fatal crash involving one of its self-driving cars in Tempe, Arizona last month. Uber is currently working with the National Transportation Safety Board to determine what happened. While Uber has pulled its self-driving car programs in all the markets where it operated, as well as not reapplied for a permit to operate in San Francisco, Khosrowshahi says not to take today’s announcements as any sign that Uber is moving away from autonomous. “Autonomous is part of the solution and I think long-term is going to be an important part of the solution of getting rid of car ownership,” Khosrowshahi said. Ultimately, Khosrowshahi does envision the world becoming much safer due to autonomous driving.